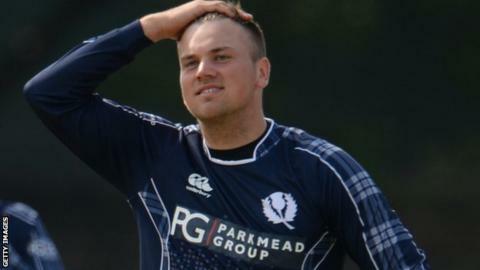 Derbyshire have signed Scotland left-arm spinner Mark Watt for all formats of the county game in 2019. The 22-year-old has played 29 T20 internationals and 22 One-Dayers, including taking 3-55 in the win over England in June 2018. He ended last season with Lancashire, making four T20 Blast appearances. "I'm really looking forward to getting the season started and hopefully I can take my opportunities and do well for the club," Watt told the club website.